Logs for All provide high quality, low moisture content and eco-friendly firewood and logs that are sustainably sourced and offered at affordable prices. We deliver free in South Oxfordshire, covering areas such as Abingdon, Wantage, Hendreds & Frilford. 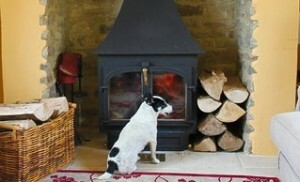 Our seasoned firewood comes from sustainable beech wood plantations in South Oxfordshire. Because our firewood is sustainably sourced and delivered locally, it provides a highly environmentally friendly, virtually zero-carbon fuel source. Eco Logs supplied in large vented bag Our logs and firewood are supplied in a large (90x90x90cm) mess-free, vented bag. These eco-friendly bags ensure the logs are kept at optimum conditions. Better still, Logs for All will give you a free bag of kindling when you return and recycle the bags. Our kindling is supplied in 2.5kg bags, and is locally sourced from Oxford Wood Recycle, “a social enterprise partnership” with Pathway Workshop – providing employment for people with disabilities.